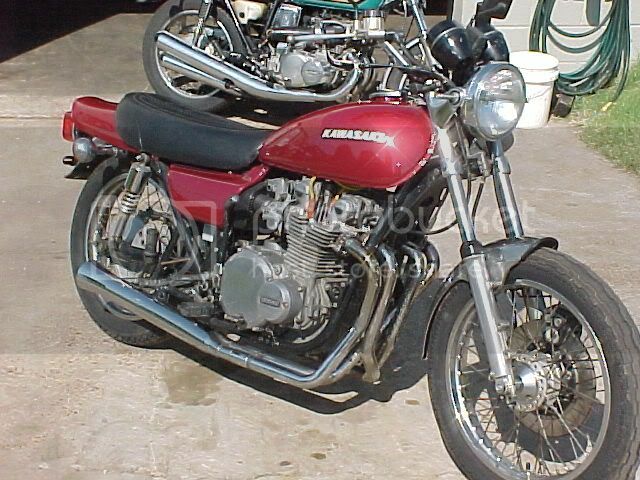 These are not the bikes I owned, mine never looked this good. These are pics I found on the net of the models and I've tried to get them in the same color. I'm trying to post them in the order I had them. 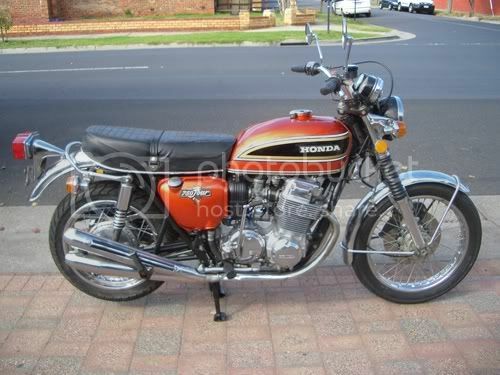 This was my first bike, a Honda SL 70. I was 4. 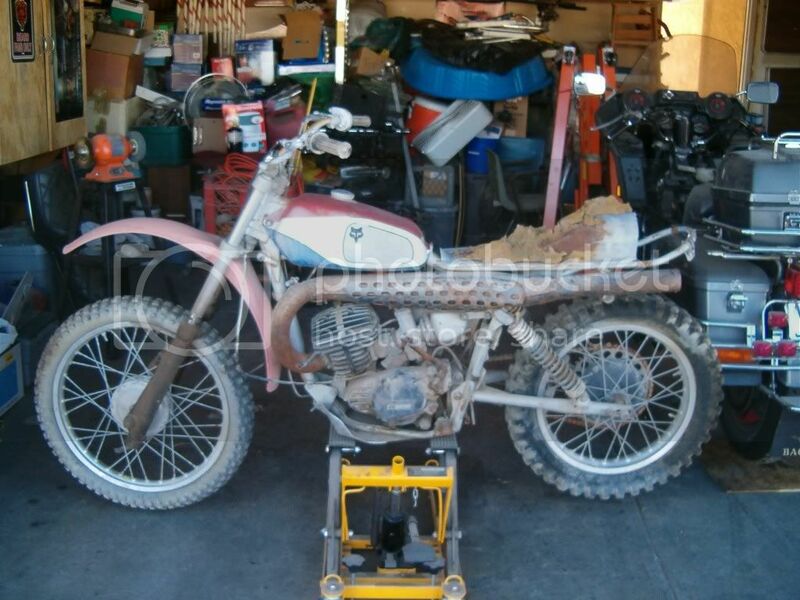 This was a Honda 125. 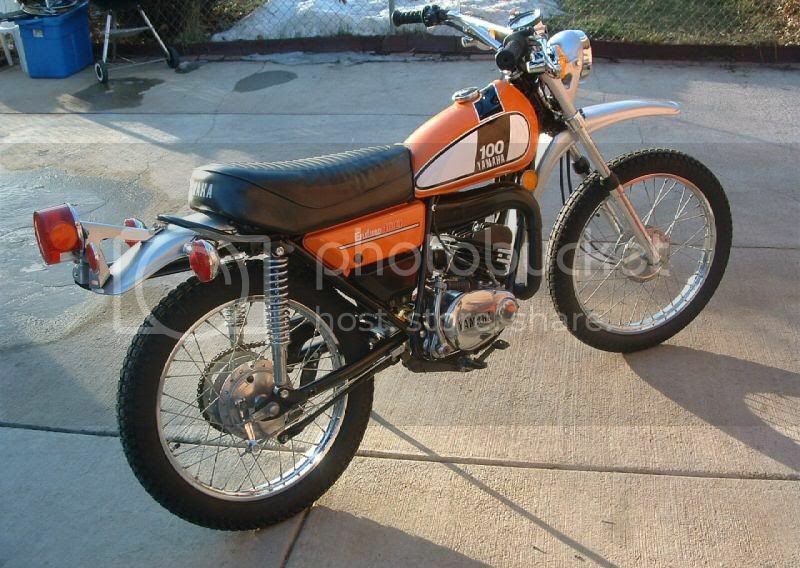 Mine was stripped down for dirt, it was a decent hillclimber with a rear sprocket big enough to cook a pizza on. 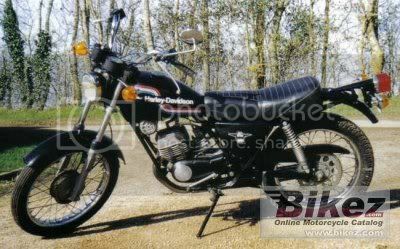 I don't remember the order but I had a Yamaha DT125, two DT250's and this Harley all in one summer. This was the first thing I bought when I joined the Army. I needed cheap transportation and this fit the bill. I actually got a ticket for riding it with a cast on my right leg(broke it playing ball) Turned out to be quite a Liquor cycle. I was young and dumb. I just had to have this as soon as I bought my first truck. It was a blast riding around Texas. 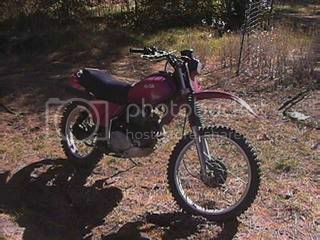 Got in trouble a few times with this one too, 250 two stroke, it would scream. 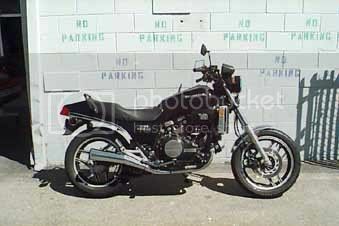 My second bike for the street, a Yamaha Maxim 750. 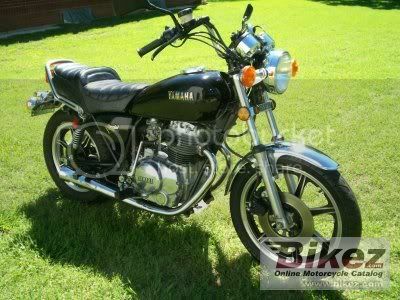 Good bike, quick, and a blast to ride. 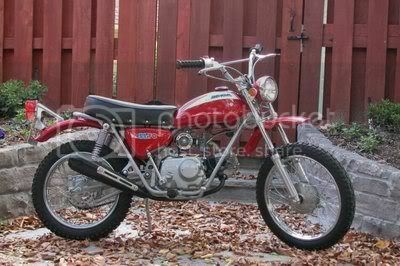 It was the first shaft drive I ever owned. 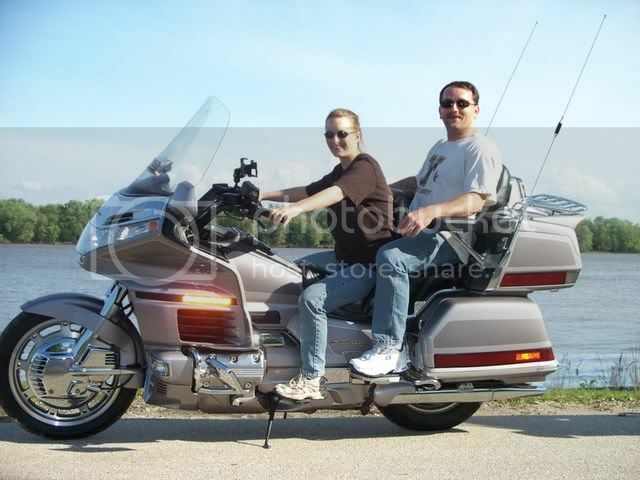 I didn't have any saddlebags or windshield, backpack and sunglasses were all I needed. I once lost 3 cases of Budweiser off the back of it(the old cases, 4 sixpacks in a box) I thought for sure I would get a DUI picking up the beer. It was spraying everyplace. All turned out well, even with the losses we had enough to get toasted. 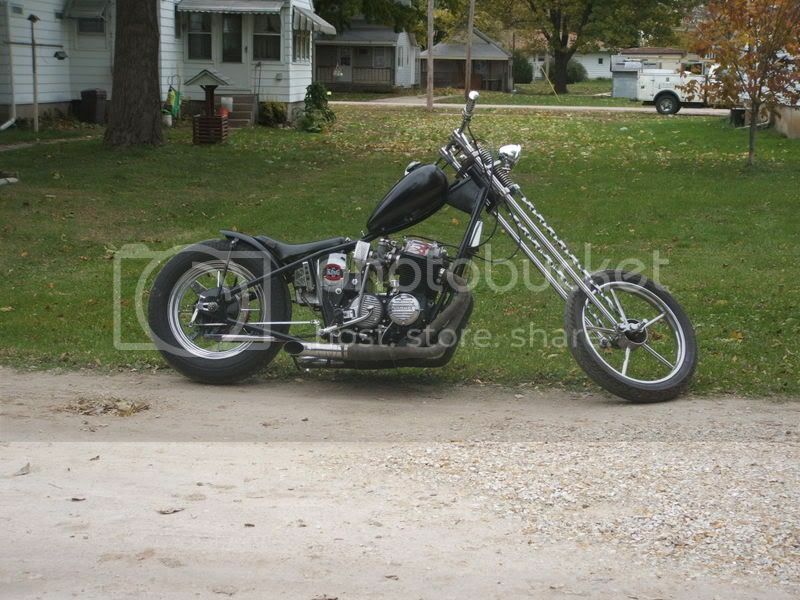 After the Maxim became a bad mix with beer, amazingly I never wrecked it, I traded for this. 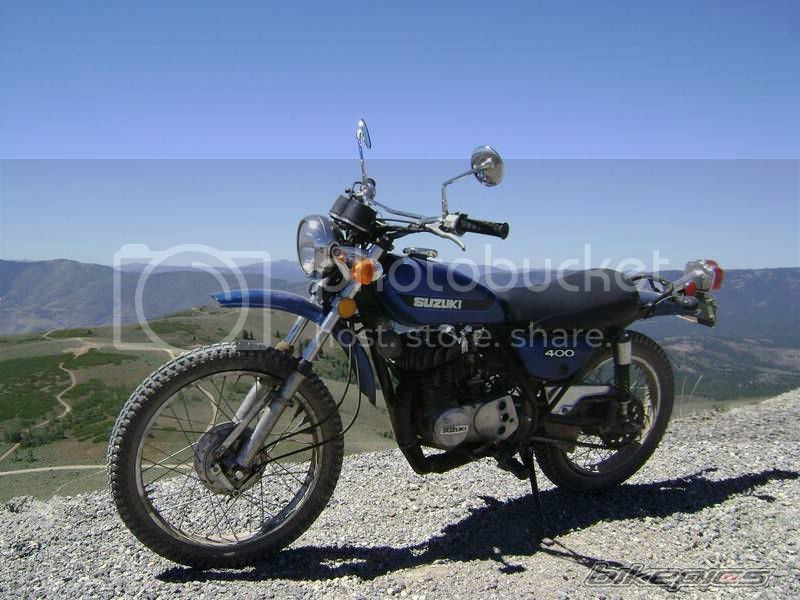 A Honda XL500 which I left with my brothers during my first deployment to Korea. They broke the shaft off for the kickstart (no electric) and then managed to lock up the motor. I was only gone for two years. I was off bikes for a few years, the Army was moving me too much and the kids were young. But eventually I got back into them. 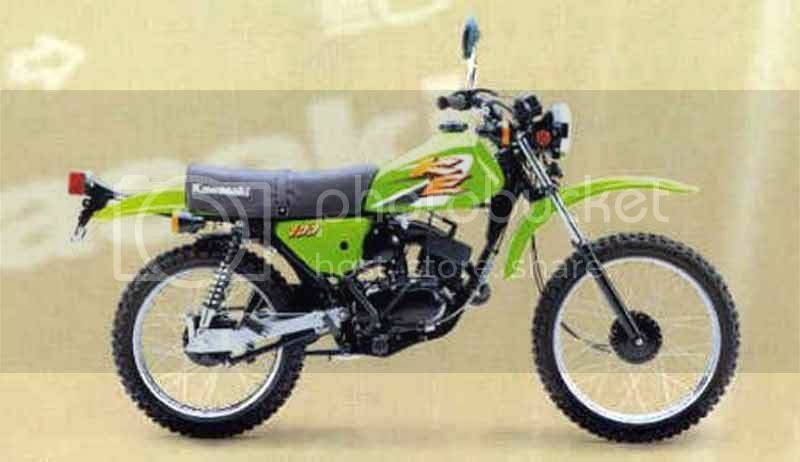 I had one of these KX 250's in Hawaii for trail riding. Decent bike just a little hard to tune. 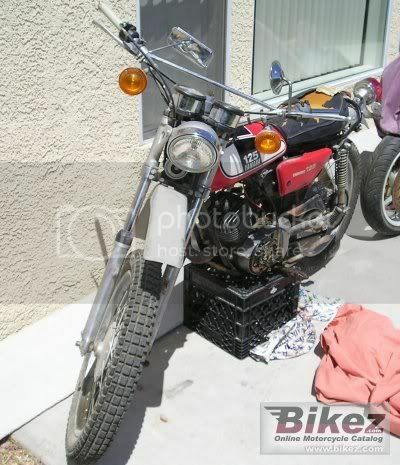 It needed a top end kit and a new carb but it still ran good, just hard on plugs. I got this for my son so he could ride with me. 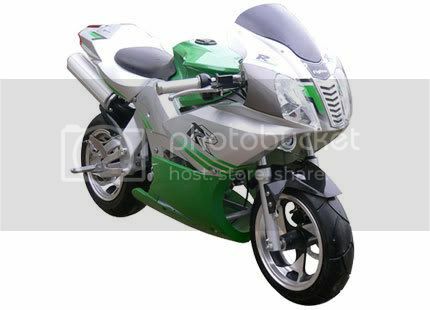 Turned out to be way too much bike for him, it would carry the front wheel thru all the gears with me on it. Sold the KX and bought a XT 600, just a little heavy for riding trails in Hawaii but it had a license so I didn't have to haul it. A couple more bikes I bought for the kids that they didn't ride. I don't know where I went wrong but they don't have much interest in bikes. 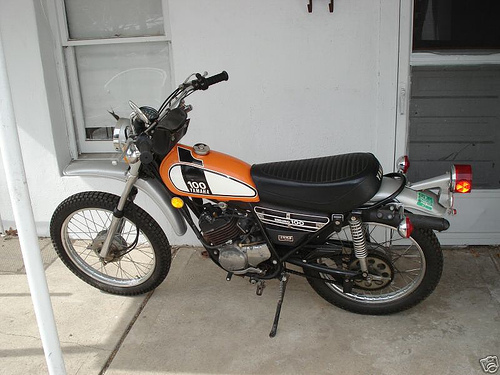 We had 3 of these 50cc pocket rockets. 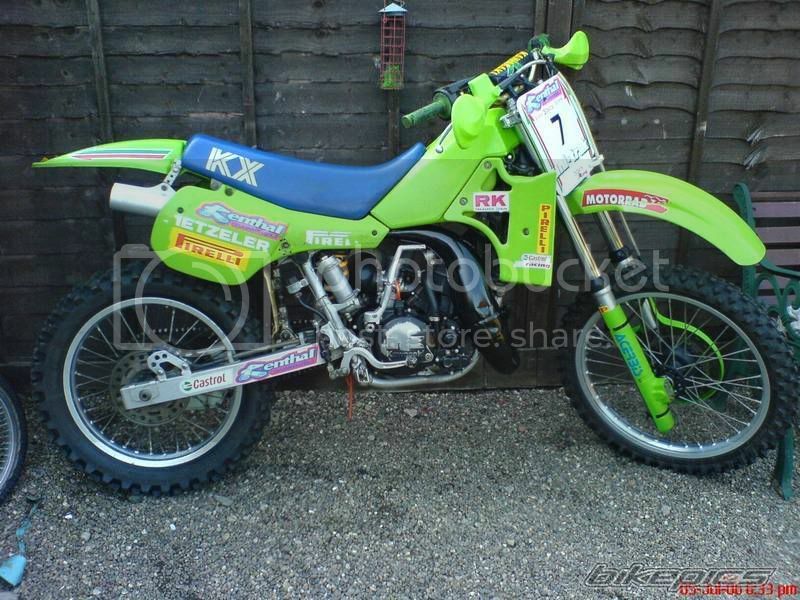 One 2 stroke and two 4 strokes, quite dangerous little machines. I think that is all except for what I have now, I'll get pics of them later. 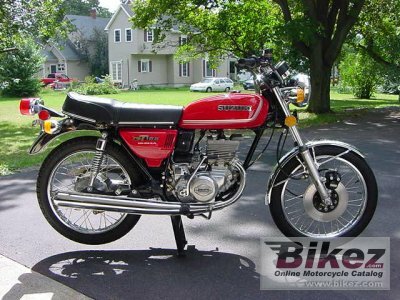 At 43, I've had over 25 various bikes (more??).. I had a list, but it was so big I lost it.. I've had up to 7 bikes at one time, and I figure I'm a good boy right now, since I only have 5 (unless you count my 250 Recon 4 wheeler).. Someone had to go here! 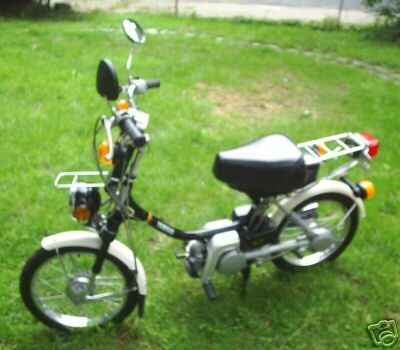 Mine had a bike ending tragedy that made it resemble an accordian more than a motorcycle. 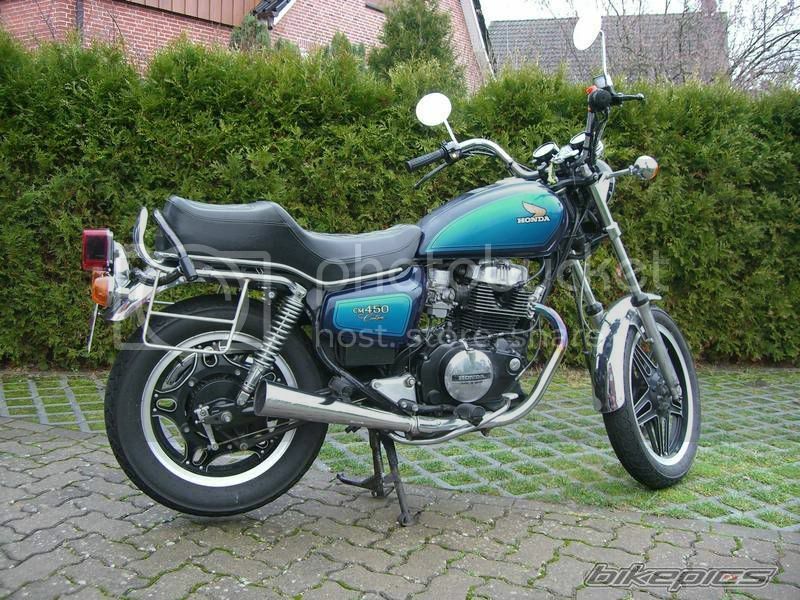 That put me off bikes from 83 until 2007, when I bought my Vulcan. This is the actual picture of the vulcan after I revived it, last year. 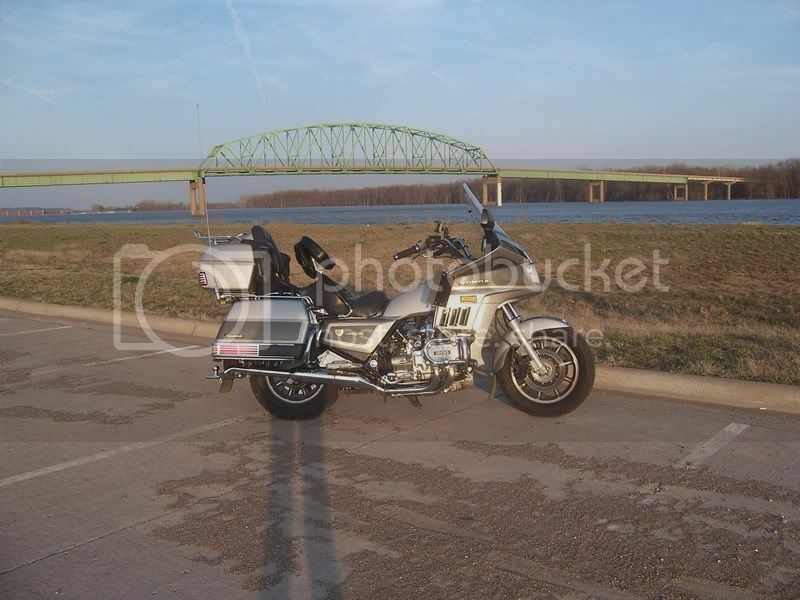 Still own it, and currently working on custom brackets to securely mount a set of "Bates" saddlebags to it. 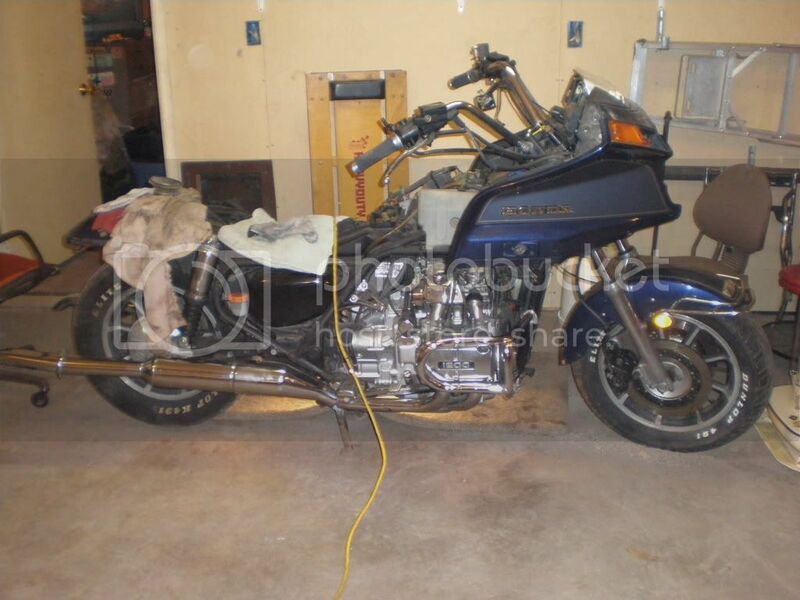 1986 Goldwing Aspencade, which brought me to the group. It is not fully reborn yet, but I am still working on it. 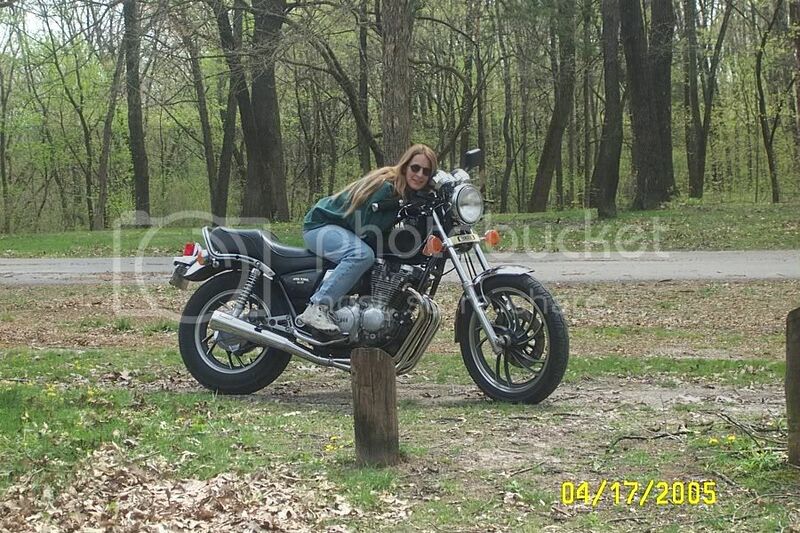 The reason I quit riding after the Honda died is not because of fear of bikes, but because of fear of me doing something stupid on the bike. After getting the Vulcan up and running, during a momentary lapse of reason, I revisited that stupid side of me, by seeing if the odometer on the bike was truely matched to the engine. It is a darn close match!! 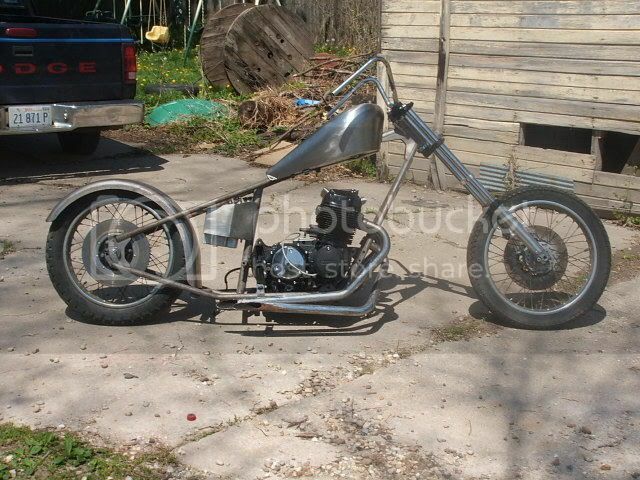 Since then, I have cleaned carbs and replaced parts, and my mechanic buddy did something to it. It still has plenty of power in it but tops out about 95mph now instead of almost maxing out the spedometer. 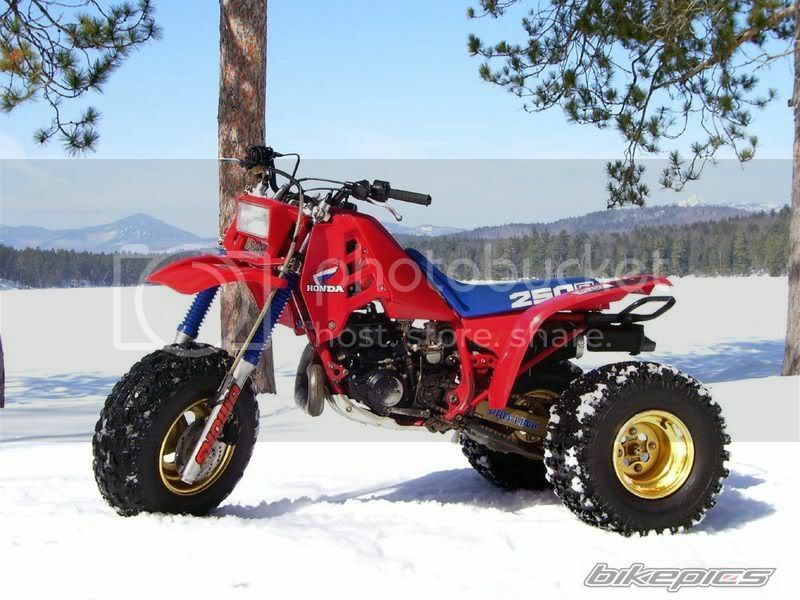 My Forth - 1985 GL 1200 Aspencade again not mine just one I found searching the web. 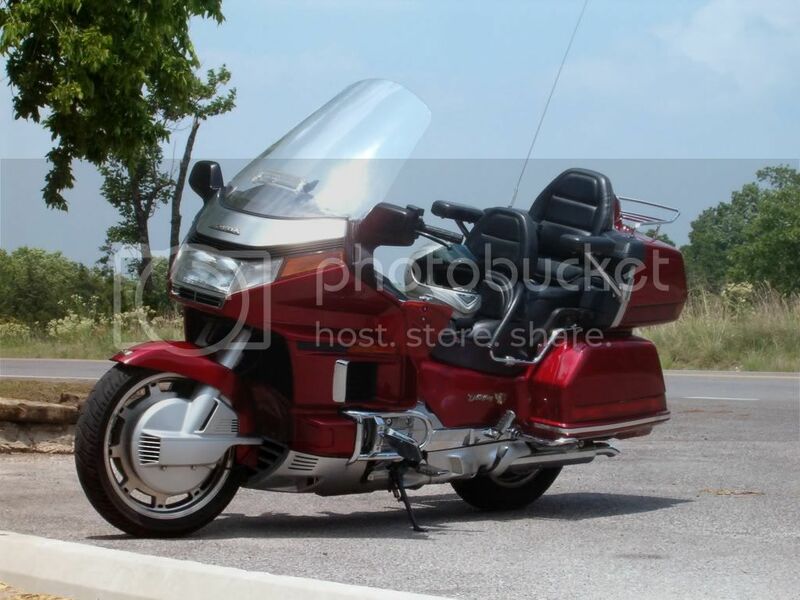 This is my first "ride"... not really a motorcycle but it had 2 wheels and an engine. 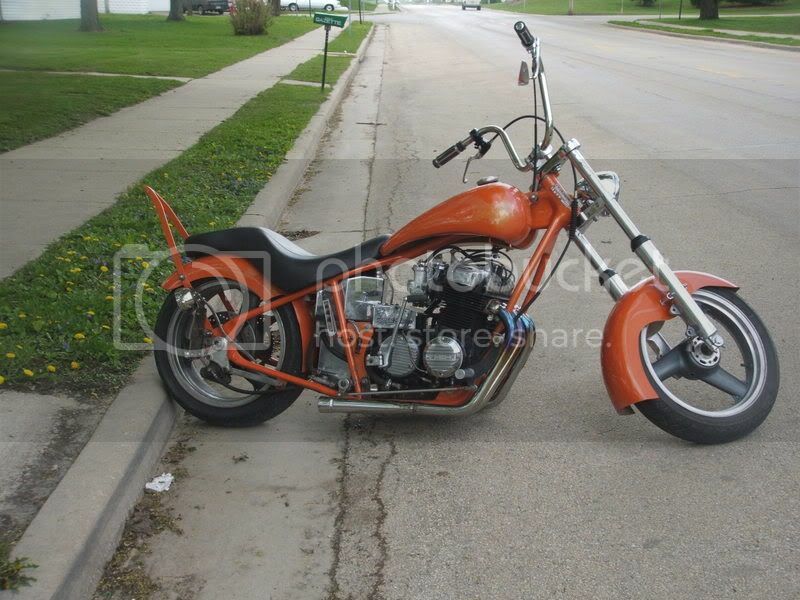 After I tried to jump the orange one off of a ramp and cracked the frame at the steering head, I bought this sweet azz ride for $25 from a friend. 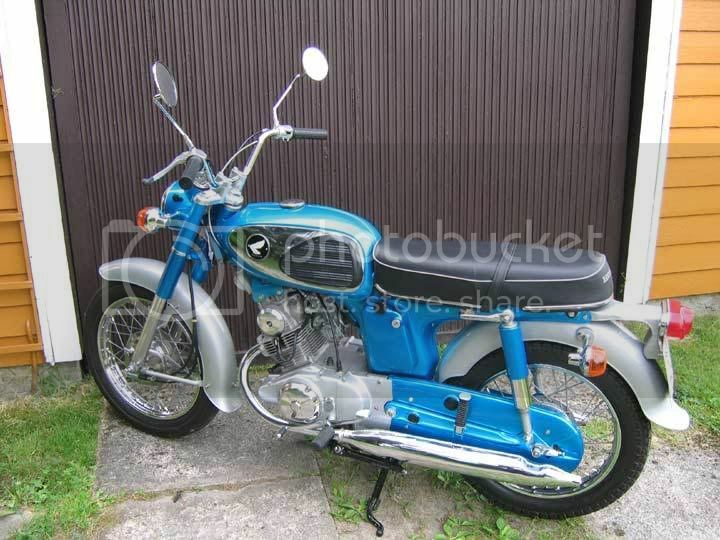 After several more mopeds that were either crashed or trashed in one way or another, my dad bought me this Yamaha for my 12th or 13th birthday. 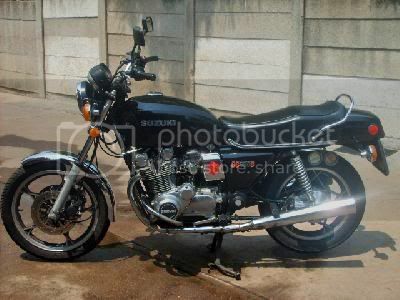 My dad passed away in 1989 and he left me his pride and joy.... and Suzuki GR650 Tempter...I believe it was a 1981. This bike was emaculant!!! There was not so much as a scratch on it. After a couple years of riding it, my brother came back from Hawaii (Army) and needed a bike. 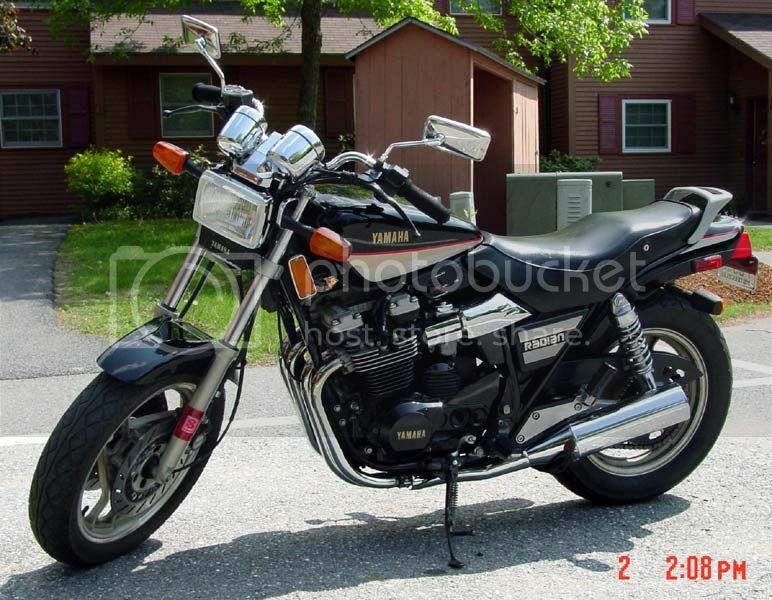 I bought this georgeous Yamaha 650 maxim from a good friend and gave the tempter to my brother to ride. 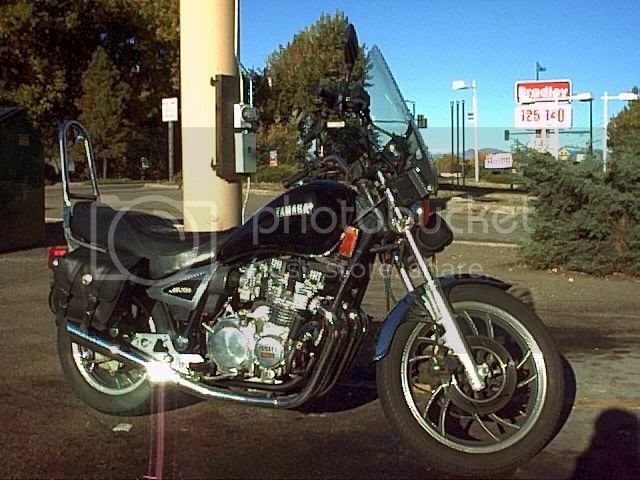 We rode the maxim for several years...when we lived in Arizona, I sold it to Donnas brother. When we moved to Iowa, Donna's brother quit paying on it, so I went back to Tucson over a weekend and repo'ed it back. After about another year, it started having head problems, so we sold it again. After that we were bikeless for a while. 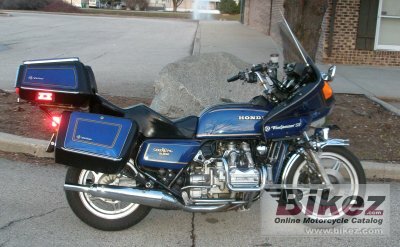 After visiting several Honda shops, we bought our first goldwing... a 1986 Aspencade. 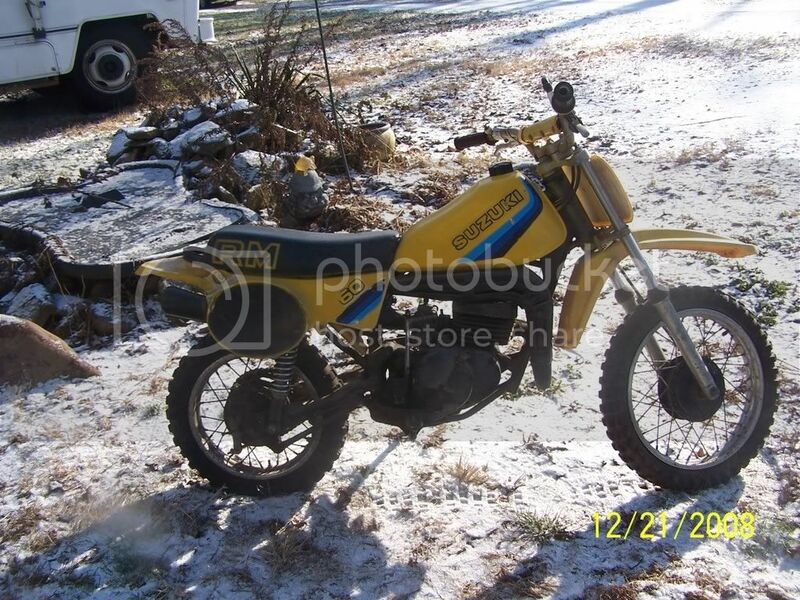 We only had it for about 1 season, and then I started getting envious of all the 1500 riders. So, after getting tired of being envious... we bought a 1998 1500SE, and could not be happier.. I have had others, that I can not remember for the life of me, but those are the main ones I remember. Lets see... 44 years of riding? Ok I'll try to remember. One thing helpful is they were all Honda. That's all I remember.. sorry. Here is a shot of the current machine. Don't have the Voyager kit on it anymore. OK, here's what i've owned over the past few years. 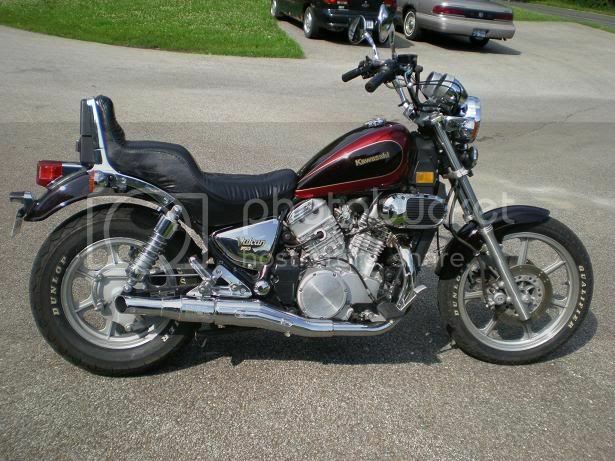 I currently have the 90 Wing and an 85 Virago. Man That 360T has been the only bike to pick me up from standing start and run a wheelie.. I was trying to spin back wheel with the front brake locked.. popped clutch and off I went.. I haven't had too many bikes either. 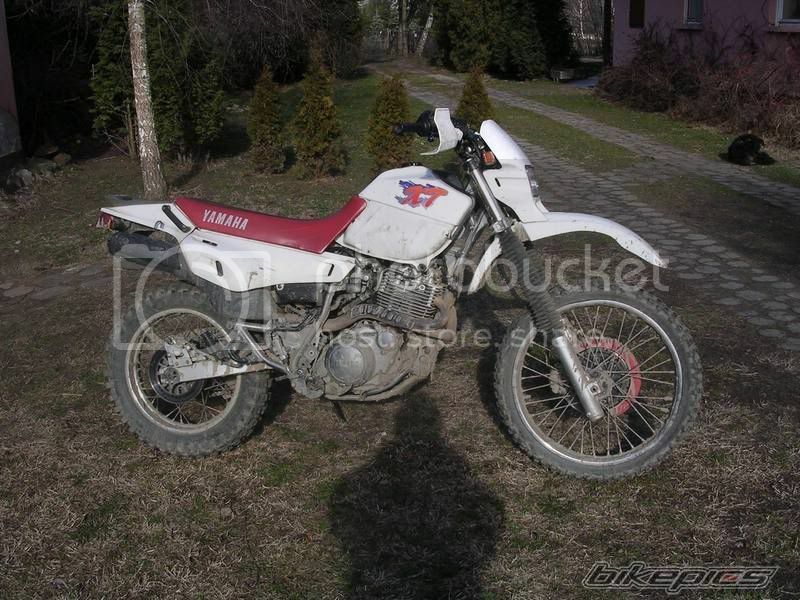 First was a Honda 125 Enduro. Must have been about a 1980 or so. Lot's of fun but not much power. 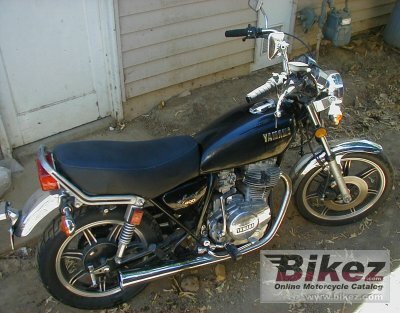 I then bought a 1978 Kawasaki KZ650. 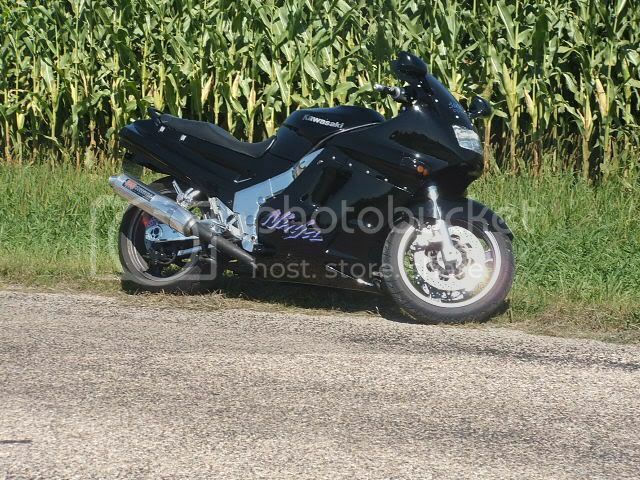 Had that awhile, great bike. I bought my 'Wing new in 1994, and will probably have it many more years. Your 440 ltd was that the first year they belted them??? I don't know I think mine was a 1980 and it had a chain IIRC.